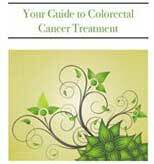 Colon & Rectal Surgery Associates featured in M.D. News! Dr. Lowry is President of Colon & Rectal Surgery Associates, Ltd. (CRSAL). The practice was founded in 1963, and has been affiliated with the University of Minnesota from its inception. Today, the expanded practice of 16 surgeons is one of the largest colorectal practices in the nation and works on the cutting edge of international medical advances. The group provides the majority of the clinical education for the University of Minnesota in colon and rectal surgery through the longest running colon rectal surgery program in the United States. The fellowship celebrated its 50-year anniversary in 2000. In addition to training colorectal fellows, CRSAL surgeons also train general surgery residents and lead international medical education programs.